Every bride wants a picture-perfect wedding from intimate snaps with the groom to guests who are dressed to impress and that all important first dance. Want to get your guests double tapping and your special day Instagram worthy? 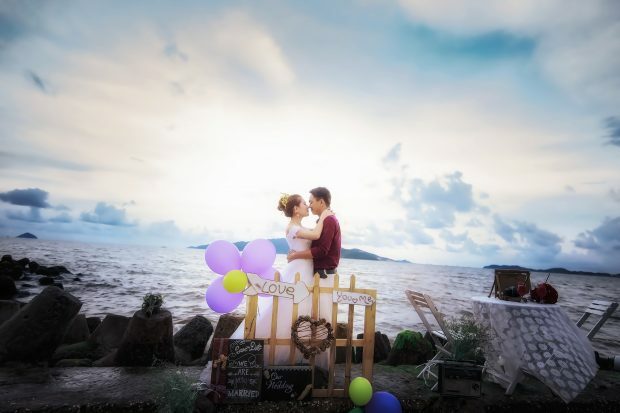 Get a romantic and dreamy vibe for your photo with natural lighting. Whether indoors or outdoors ask your photographer to capture your loving moments with your groom in the most natural light possible. Early morning shots or late afternoon shots are guaranteed to capture you in the best possible way and get those double digit likes on the ‘gram! Getting married in an 18th century castle? 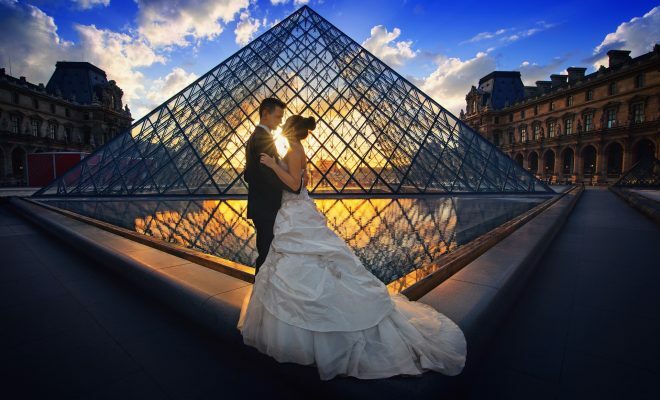 In a stunning five-star hotel or in a traditional church setting make sure to capture those special moments with a stunning backdrop to really elevate your photos. A stunning golden sunset, a gorgeous green forest or a historical setting are bound to get those likes rolling in and give your photos an atmospheric feel. Flowers are always a main talking point at any wedding. Make sure to ask your photographer to really capture the beauty of the bridesmaid’s flowers or the flower girl throwing the petals up the aisle. The brighter the flowers the more appealing and eye catching the picture, really make sure the throwing of the bouquet is an Instagram worthy moment with the bride really having fun and capturing the prettiness of the flowers. Bonus, even use over exposed filters on Instagram to really make the flowers pop! We all love a good three course meal and the best are usually at weddings, come on let’s be serious, this is the real reason we’re here, the food! Make sure to ask your photographer to really capture the unique dishes on display. Perhaps make every meal themed or have a selection of various desserts served in a trio of plates certain to make your Instagram followers salivating onto their screens! Why not elevate your wedding reception with Instagram worthy backdrops? This makes it easier for the photographer to really capture a wonderful moment giving them plenty of instagrammable opportunities. Balloon wedding arches are very popular, or polaroid snaps usually create the perfect insta-wedding, Instagram cardboard cut-outs bring both the humour and the likes! Ask your photographer to really capture the intimate moments when you’re least expecting it and not looking straight at the camera, the cutting of the cake, the first dance, the groom’s speeches all precious and perfect Instagram photo opportunities. No matter what have fun, be loving and your pictures will come out Instafabulous!